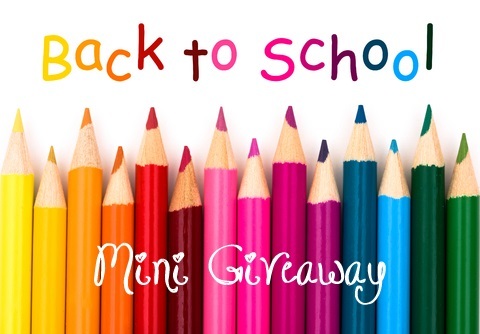 Welcome to the Back to School Mini Giveaway! 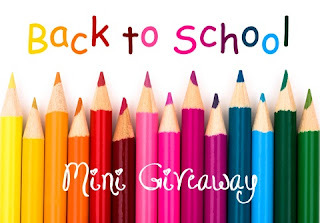 I did a back to school giveaway hop a few weeks ago, but I had some last minute sponsors come through and figured what better way than to put them all together in one prize!!! So here are the wonderful sponsors! I like the RBS-18 Sunrise Backpack best. I want to try the pediped shoes. I am most excited about the pediped shoes, but new placemats from Frecklebox would be exciting too! I am excited about the backpack. The shoes. I have been needing a new pair for ages. I'd be most excited about the Pediped shoes; my daughter could use a new pair for fall. I'm looking forward to the Pediped Shoes! I am most excited about the shoes. I'd like to win the Pediped shoes. I am most excited for the shoes! super excited about pediped shoes! The Pediped shoes! My daughter needs some new shows and Pediped are great shoes. I am most excited about the Pediped shoes. I am most excited for the pediped shoes my son goes through his quickly! Frecklebox! Their items are quality I would love to get a few items from them! I would really love to win the pedipeds. My daughter has gone though shoes so quickly it's hard to keep up! I am looking forward most to the shoes. I'm looking forward to the frecklebox certificate. thanks for the great giveaway, i like them all! I am most excited about the Pediped prize, with three growing grandchildren each is always in need of shoes. I am most looking forward to the backpack. Looking forward to the pediped shoes! The backpack , thanks for the giveaway !! My daughter would love the backpack. The Pediped shoes are always welcome! I really love the backpack. Books can get so heavy and I think a rolling backpack is a must have these days. I really could use a new pair of shoes! I am looking forward to the new backpack. Love to try the Pedipeds!!!! I'm most excited about the Pediped shoes. Thanks for the chance to win! I would most like to try the pediped shoes. Frecklebox! I've never tried any of their products. I am most excited for the FreckleBox prize. My granddaughter would be over the moon with that! The backpack my daughter bought in Jan. is now NOT cool..Help!!! I'm excited about the Pediped shoes. I want to use the Frecklebox certificate. Since we can't use rolling back packs for our kids at school, I'm looking most forward to the shoes! I'm most excited about the Pediped pair of shoes. I am most excited to trying the Pediped shoes. Hard to say! I'm going to go with Pediped but I like all of them. I'm looking forward to trying to win the Sunrise Backpack. Id be thrilled for the Pediped shoes for my new walker! I AM MOST EXCITED ABOUT THE PEDIPED SHOES FOR MY LITTLE BOY DUE IN OCTOBER. I'm looking forward to the shoes! My daughter has a shoe obsession and Pedipeds are one of the only brands that last and hold up to the wear and tear she puts on them. I am most excited about the backpack. I love it! The shoes! Or the backpack. I can't decide! The shoes for my new walker! I'm most looking forward to the shoes! The Shoes or the backpack. I would love the Sunrise Backpack the best. I am looking forward to the backpack most!! Def the frecklebox cert, although it's an awesome pack all together! I'm most looking forward to the $30 Frecklebox Certificate! My daughter has a unique name so she would really love something from there! I am always on the lookout for new shoes for my kids, so most defiently the shoes! The Pediped shoes for my daughter! I think I would like the sunrise backpack because my grandaughter would love it with all the sparkles! I am looking forward to the Sunrise Backpack. I am looking forward to the pediped shoes. The frecklebox certificate. I would get something personalized for my grand-daughter for Christmas. I'm excited about all of it but especially the shoes. I'm most excited about the pediped shoes! The shoes, she grows so quick. I think the backpack is adorable and I am most excited about it. The pedipeds.. I only bought pre-walkers from pedipeds, and since both of my girls are toddlers now i would love to give them a try! I'm most looking forward to the shoes. Choosing a pair of pedipeds with my little sister would be so much fun. I'm most excited about the Pediped shoes. I love the backpack and would pick the purple one too! Great prize pack! Best of luck everyone! The Sunrise backpack because we are in desperate need of a backpack. I like the backpack the best I think. Thanks for the chance. I'm torn between the backpack and Freckle Box, but I think my daughter would love the backpack more. I am most excited about the Pediped shoes! i love freckle box--i want to get my niece a growth chart! My nephew could use a new wheeled backpack so I would like the Sunrise backback. The Pediped shoes for my toddler! I'm most looking forward to the Sunrise Backpack from J Word Sport! I am most excited about the freckle box gift card. I love the backpack! Thanks! The Frecklebox gift card for my daughter!